Home › Bible Prophecy › Who Are the 24 Elders of Revelation? An important interpretative issue in the Book of Revelation revolves around the identity of the 24 elders. Who the 24 elders represent can be very important in regards to the pre-trib rapture. The 24 elders are mentioned five times in the Book of Revelation as follows: 4:4, 10; 5:8; 11:16; and 19:4. If they represent the church, then it reflects what one would expect if the rapture has occurred before the tribulation has begun. If it represents someone else, then it would not necessarily argue against pretribulationism, especially if they were angels. I think it is clearly the church that these 24 elders represent and therefore it supports the fact that Christ’s Bride has been taken to heaven before the start of the tribulation. John MacArthur makes a strong case that the 24 elders represent a completed body of redeemed humanity, which at this point in future history could only be the church. First, the reference to the twenty-four thrones on which the twenty-four elders sat indicates that they reign with Christ. Nowhere in Scripture do angels sit on thrones, nor are they pictured ruling or reigning. Their role is to serve as “ministering spirits, sent out to render service for the sake of those who will inherit salvation” (Heb. 1:14; cf. Matt. 18:10). The church, on the other hand, is repeatedly promised a co-regency with Christ (2:26–27; 3:21; 5:10; 20:4; Matt. 19:28; Luke 22:30; 1 Cor. 6:2–3; 2 Tim. 2:12). Presbuteroi (elders) is never used in Scripture to refer to angels, but always to men. It is used to speak of older men in general, and the rulers of both Israel and the church. There is no indisputable use of presbuteroi outside of Revelation to refer to angels. (Some believe that “elders” in Isaiah 24:23 refers to angels, but it could as well refer to humans.) Further, “elder” would be an inappropriate term to describe angels, who do not age. While angels do appear in white (e.g., John 20:12; Acts 1:10), white garments more commonly are the dress of believers. That is particularly true in the immediate context of Revelation. Christ promised the believers at Sardis that they would “be clothed in white garments” (3:5). He advised the apostate Laodiceans to “buy from Me … white garments so that you may clothe yourself” (3:18). At the marriage supper of the Lamb, His bride will “clothe herself in fine linen, bright and clean” (19:8). White garments symbolize Christ’s righteousness imputed to believers at salvation. 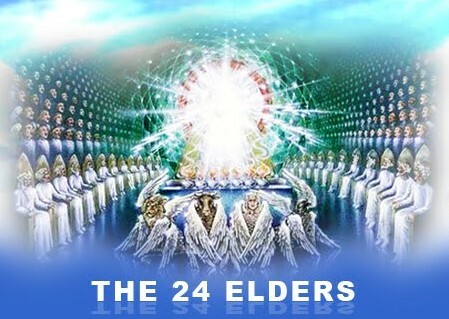 It is clear to me that the 24 elders must be a reference to humans, not angels. The angels are represented in verse six by the four living creatures. The throne-room scene of chapter four depicts God on His throne and representatives of His domain, which is all of creation, are depicted there. The church is present also represented by the 24 elders. Some believe that the number 24 represents all the redeemed throughout history and not just the church. It is argued that in Revelation 21:12–14 the New Jerusalem in the Eternal State is made up of 12 gates with the names of the 12 tribes of Israel written on them (21:12). In verse 14, the wall around the city is made up of 12 foundation stones with the names of the 12 apostles of the Lamb written on them. Thus, 12 plus 12 equals 24 and that would mean that the 24 elders must be composed of all the redeemed, both Israel and the church. There are a number of problems with this view. First, Revelation 21 does not use the number 24. Instead, to come up with 24 one must add the two numbers together and that requires an assumption not stated in the text. 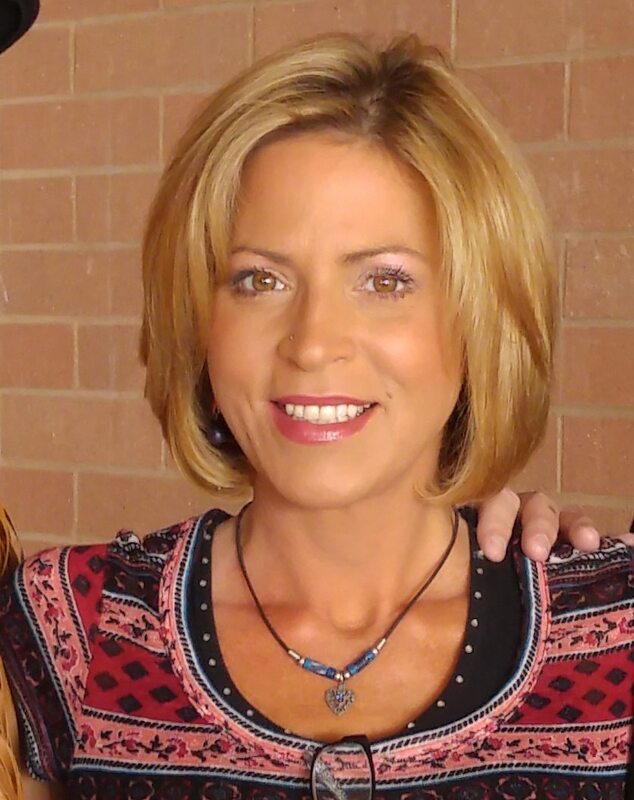 Why did Revelation 21 not use the number 24? Instead, there are two different items to which the two sets of 12 refer. The 12 gates signify the sons of Israel while the church is represented by 12 foundation stones. To mix the gates and foundation stones would be a case of mixing apples and oranges, so to speak. The 24 elders are seen throughout Revelation as a single group, whoever they represent. Revelation 21 does not use the number 24 and is not a reference to the 24 elders. The number 24 is used in the Old Testament in a similar way that we see its use in Revelation. “There were twenty-four officers of the sanctuary representing the twenty-four courses of the Levitical priests (1 Chron. 24:4–5, 7–18), as well as twenty-four divisions of singers in the temple (1 Chron. 25).”  We see in both instances in Chronicles 24 was God’s choice to represent the Levitical priests and the Levitical singers. Thus, 24 appears to be a representative number in Revelation 4 as the elders denote the church in heaven before God’s war council in preparation for the judgment of the world during the tribulation. Only in one instance does an individual from the 24 elders act as an individual (Rev. 5:5). In this instance it is to speak as the interpreting person to tell John to stop bawling because no one was found to open the scroll. The elder says, “Stop weeping; behold, the Lion that is from the tribe of Judah, the Root of David, has overcome so as to open the book and its seven seals.” Why is one of the 24 elders called upon to explain things to John? One of the 24 elders is called upon, instead of an angel that normally explains things in Revelation, because they are the only ones within God’s throne-room that has personally experienced salvation. Since John’s question relates to salvation, it was appropriate for a redeemed individual to note that the Lamb of God—Jesus—was the one qualified to open the scroll. That scroll is the title deed to planet earth and if no one was able to open it then the redemption of earth and mankind could not have been carried out. That is why John was weeping, because he knew that his destiny and that of all of humanity depended upon finding one qualified to open the scroll. Since the 24 elders of Revelation represent the church in heaven, this means that the church—the body of Christ and His Bride—is complete, since she has received her rewards (i.e., the crowns) and is in a position of co-rulership with Christ (Rev. 3:21). This depiction supports a pre-trib rapture because from a chronological perspective of Revelation 4 the events of the tribulation have yet to begin. How do we know? We know because Revelation 5 presents the plan for tribulation judgment as contained in the scroll that only the Lamb is worthy to open. Revelation 6 portrays the Lamb’s opening of each seal as the initiating cause of those judgments on earth. This would mean that since all 19 seal, trumpet and bowl judgments are contained in the scroll then none of these events of the tribulation could have transpired in Revelation 4. Therefore, if the church is in heaven before the tribulation then pretribulationism is supported by the notion that the 24 elders represent the church. The reason the 24 elders cannot represent simply redeemed mankind as a whole, which would include Israel, is because the redemption of those people is not yet complete by Revelation 4. The 24 elders cannot include tribulation saints, since their group of redeemed individuals is not complete until the second coming. The same would be true of Israel. It would appear that tribulation saints are grouped with other Gentile believers down through history from Adam until the church and then the tribulation saints. Thus, they are not yet complete. The church alone will be the only complete redeemed people group by the time Revelation 4 occurs in history. This is why the 24 elders in heaven at this time support the church’s blessed hope of the pretribulational rapture. Maranatha!